Thank you, Thank you, Thank you, to all the wonderful folks out there in Bloglandia who have visited and followed my humble blog during the A to Z Challenge. I've had a blast meeting so many new friends. You are my inspiration. 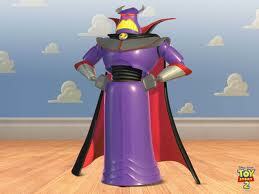 Evil Emperor Zurg from the Toy Story movies is on a mission to destroy Star Command and conquer the Galaxy. 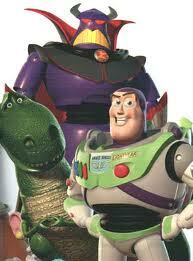 Thank goodness, Buzz Lightyear stands between us and evil incarnate. Is there anyone out there who didn't dream of their toys coming to life? I wished upon countless stars for that to happen. The Toy Story movies granted my wish. Andy's collection of toys found their way into my heart. Now my wish upon a star is to write a story that will find its way into someone's heart the way Toy Story did for me. Toy Story made me believe that wishes do come true. Who is your favorite toy in Toy Story? One of the funniest things about the second movie is how this becomes a random subplot, Buzz Lightyear turning into Luke Skywalker thanks to Zurg. Am I really missing something if I haven't seen any of the Toy Stories? Nice post! I'm partial to Woody, the flawed but mostly good hero. These movies are a great example of distinct secondary characters. Woody is my favorite from TS. I <3 this movie!! Wow, who's my favourite? It's a hard decision to make. I'm not sure I have one. Woody has a good heart though. 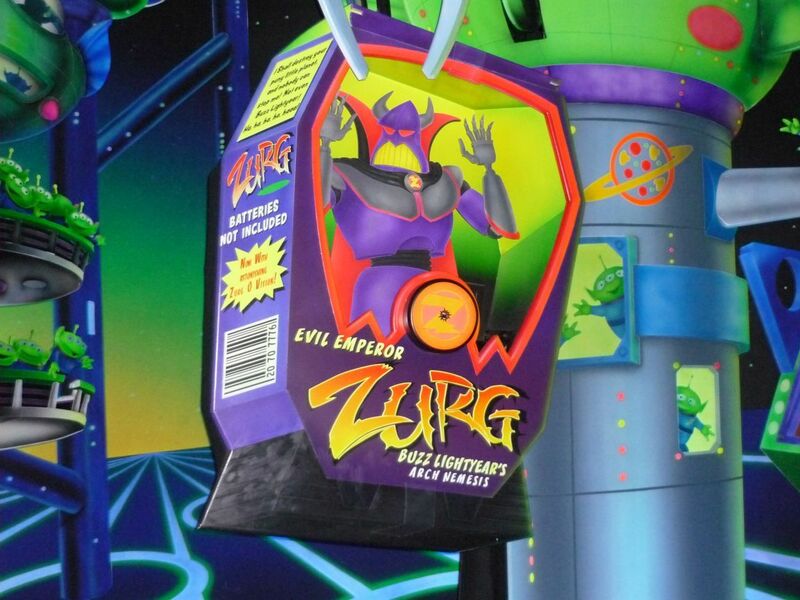 Oh man, I love Zurg. I'm a sucker for a good bad guy. :D Congrats on finishing the A-Z challenge!! You rock! Congrats. You made it. I threw in the towel a week and a half ago. Too busy. I'm not familiar with this one. But I like the name "Evil Emperor Zurg"
Great job with the A-Z posts. Really enjoyed them. Haha, yay!!! Toy Story is one of the best movies ever made. All of them. I used to have a Woody doll that was my favorite toy ever. Love these cartoon characters... one better than the other. Rex is definitely my favorite! Nice post and good ending to the challenge! Congrats! I'm glad you could do this blogging challenge! I never have time to do fun stuff like this! Ugh, I can't pick a favorite. I love Rex, but also Potato Head, and. . .
Congratulations on finishing the challenge! Amazing. Yay! The finishing line.... congrats, we made it! It was great getting to know you via the A to Z... thanks for your support and I'll keep in touch! I haven't seen Toy Story, but I've been meaning to watch it. Congrats on finishing A to Z. The Toy Story movies are wonderful. And beautifully executed in the actual movie making process. It's good to know that there is still some originality and creativity in Hollywood. Check out my A to Z Reflections post (I'm linking it to this comment). I've given you a shout out... actually 2X! Congratulations on completing the challenge! Nice post for Z! How did I miss your Z post? Arrrg! Anyway, yes, to the toys who are so much more. Congrats on hitting every letter. That takes some real dedication! Zurg! Ha! I loved the first Toy Story movie. I have to go with the cowboy. He cared about Andy, the other toys, and was the underdog after Buzz came along.